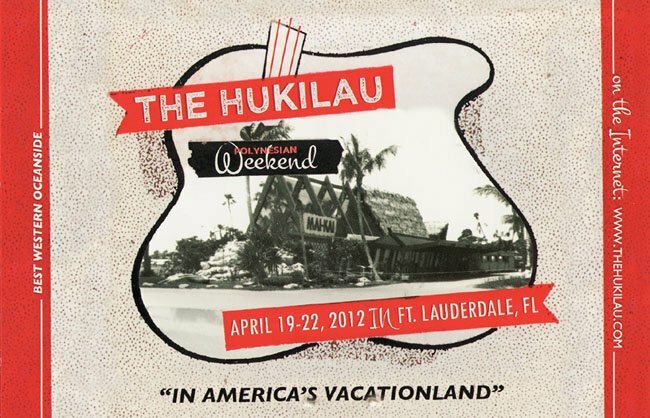 The Hukilau is an all-encompassing celebration of Polynesian Pop culture: Art and architecture, food and drinks, music and fashion. It’s a trip back in time with hundreds of like-minded Tiki disciples to an era when kitsch was king. The entire event is an orgiastic fest of the senses – from the outrageous lowbrow art and Tiki carvings to the exotic music to the decadent drinks and food. Fort Lauderdale’s beachside locale and historic Mai-Kai restaurant are the perfect backdrop for the revelry. 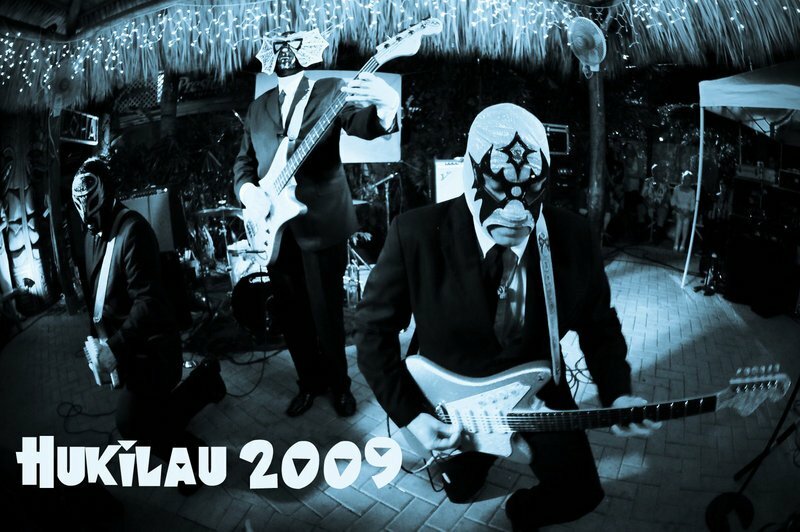 To warm up for this month’s 11th annual Hukilau, let’s take a trip back to 2009, when lucha-masked surf and rockabilly band Los Straitjackets headlined the event. Click here or on the image below to see a special audio slideshow of all the festivities. Be sure to turn up your speakers! Below that is a recap of the schedule for reference. This year’s event promises the same experience, plus much more. Eddie Angel of Los Straitjackets is back with his new band, The Martian Denny Orchestra. We hope to see you there! * Thursday night kickoff party: Premiere of Harold Golen Gallery’s Tiki art show, “Poly Pop Living,” at the Bahia Cabana penthouse. Jetsetter Go-Go Party poolside with The Intoxicators and the Disasternauts. * Friday poolside party: Emcee King Kukulele with The Bikini Beachcombers, and Marina the Mermaid (plus friends). Friday symposium: Jeff “Beachbum” Berry’s “Who’s Your Daddy? A Mai Tai Paternity Test” and Jeff Chenault’s “Sounds for Sophisticated Savages” (not pictured) at The Mai-Kai. Tikki Beach Boat Cruise along the Intracoastal Waterway with The Stolen Idols. Friday night main event: Entertainment included The Van Orsdels, the Haole Kats, and Los Straitjackets, plus emcee King Kukulele at the Bahia Cabana. * Saturday poolside party with The Bikini Beachcombers. 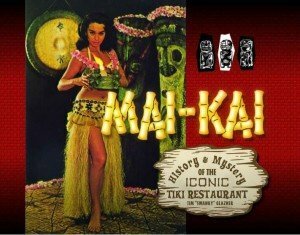 Saturday night at The Mai-Kai: Happy hour, dining and live music at the legendary Polynesian palace. Performers included the Haole Kats, The Stolen Idols, and The Intoxicators. 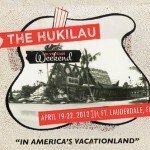 This entry was posted in Events, History, History, Hukilau, Mai-Kai, Photo galleries, South Florida and tagged Bahia Cabana, Beachbum Berry, Bikini Beachcombers, Fort Lauderdale, Haole Kats, Harold Golen Gallery, Hukilau, King Kukulele, Los Straitjackets, Mai Tai, Mai-Kai, Marina the Fire Eating Mermaid, South Florida, Stolen Idols, surf, The Intoxicators. Bookmark the permalink.